Training Centre Is ClassicLiquid Guaranteed? 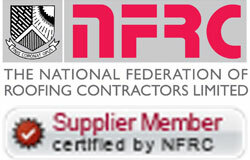 ClassicLiquid carries a 25-year manufacturers guarantee which is issued on completion of the works. The guarantee is applicable on roofs over 500 square metres. If your roof is smaller than this and you require a guarantee please contact our technical team.